Lennar's Marbella Ranch Grand Opens November 10th! GLENDALE, Ariz. - Oct. 22, 2018 - PRLog -- Save the date and bring the family out for an exciting Grand Opening event for Lennar's new home community, Marbella Ranch in Glendale. On Saturday, November 10th from 11 a.m. to 2 p.m. come out for food, fun and model tours. Experience thoughtful floorplans designed to reflect today's lifestyles including open layouts that make entertaining easy and upscale kitchens with a high level of features already included through Lennar's signature Everything's Included® program. The exceptional collection also features Lennar's popular Next Gen® - The Home Within A Home® floorplan for homeshoppers looking for a convenient and simple solution to multigenerational living. Don't miss this incredible opportunity to find your dream home in Glendale! 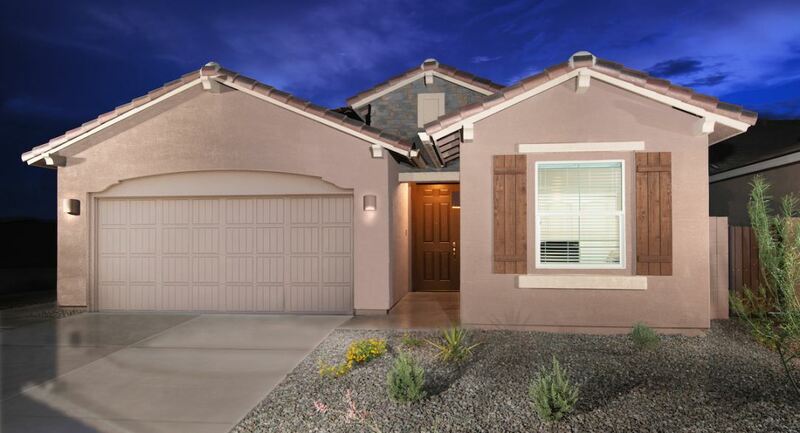 "We're very excited to be Grand Opening Marbella Ranch and bringing to the Glendale area new single-family homes showcasing thoughtful floorplans for the modern family and paired with top-notch community amenities," said Alan Jones, Division President for Lennar Phoenix. "Marbella Ranch will also allow homeshoppers to discover Lennar's popular Next Gen® home that was created to bring families of all generations together through a smart and comfortable design." At Marbella Ranch, interested homeshoppers can choose from seven distinct single- and two-story floorplans suitable for families of every type. Sizes range from approximately 1,392 to 2,903 square feet of living space including three to five bedrooms, two to three and one-half bathrooms and two- to three-bay garages. New homes boast open-concept layouts that make entertaining easy, upscale kitchens with plenty of cabinet and pantry space, sophisticated owner's suites, covered patios for outdoor living and contemporary details throughout. Tour Lennar's Next Gen® – The Home Within A Home® floorplan that has revolutionized the way multigenerational or extended families live together. This unique design includes an attached private suite to the main home, complete with its own separate entrance, living room, bedroom, bathroom and kitchenette. It's an ideal solution for buyers looking to provide their families with privacy but keep them together for those special moments. With Lennar's signature Everything Included® program in each new home, today's most popular upgrades and appointments are included standard. Enjoy high-quality cabinetry, exquisite countertops, energy-efficient appliances, home automation technology for a more connected way of living and much more—all at no additional cost. In addition to the thoughtful designs included in the home, Marbella Ranch offers residents with plenty of opportunity to connect and entertain with friends, family and neighbors with incredible amenities within the neighborhood. Spend a sunny day outside barbecuing with a community BBQ grill, unwind and have a potluck at the picnic tables with shaded sails and let kids play at tot lot with swings. Living in Glendale, residents can appreciate the great outdoors at the White Tank Mountain, take the kids to view an expansive collection of animals at the Wildlife World Zoo, or relax with a game of golf at the famous Wigwam Golf Club in Litchfield Park. For more opportunities, downtown Phoenix is only nine miles away! Prospective homeshoppers are encouraged to attend the Grand Opening of Marbella Ranch on November 10th located at 12361 W. Glenn Drive. For more information, visit www.lennar.com/phoenix.